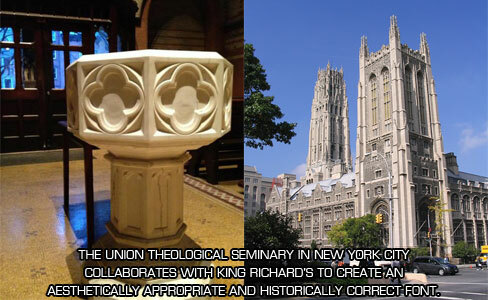 Why King Richard's for your baptismal or holy water font? 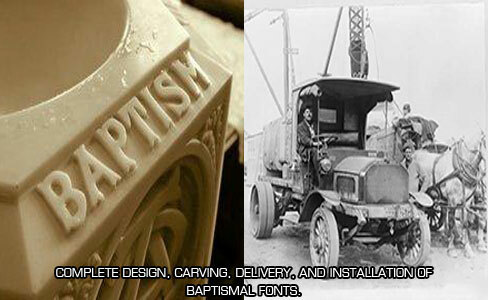 See our baptismal or holy water font in your church, today! 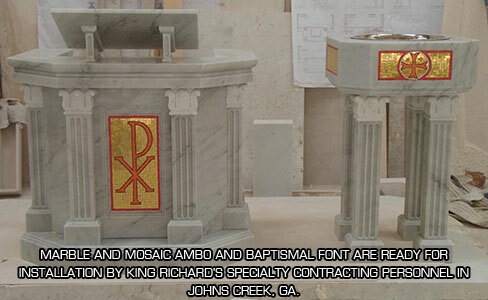 King Richard's designs, carves, builds, delivers and installs the most beautiful custom baptismal or holy water fonts in the business all at reasonable prices. 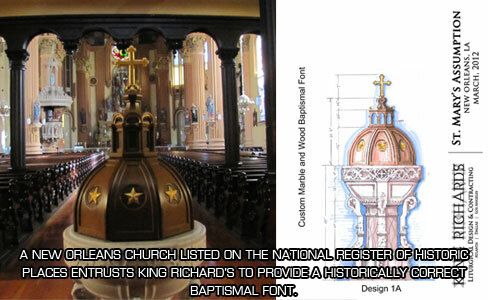 For more than 10 years, King Richard's has been the largest seller of baptismal and holy water fonts in the U.S. We offer comprehensive design-to-install service. 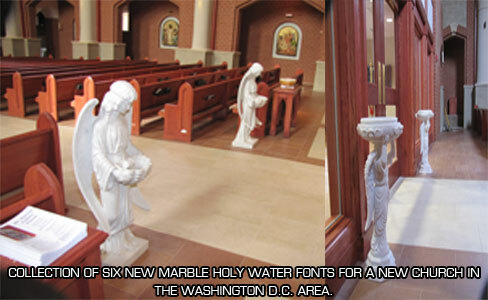 After viewing our large online inventory far beyond what is offered in church catalogs we provide drawings, then deliver and install your distinctive wood or marble font. 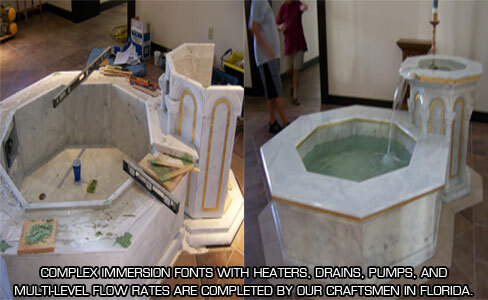 Please call us today to learn how you can add individuality to your project with a custom font. 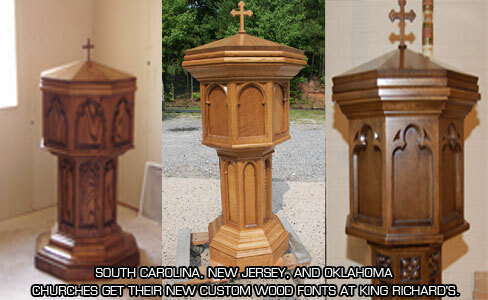 Take your used items on trade in?